Changes thrust on piston sidewall and alters durations of strokes. The old 2 cylinder Deere engines were offset like that only the pistons were horizontial. 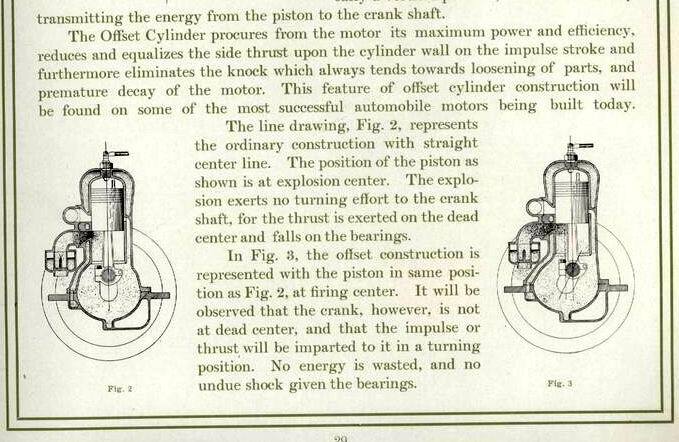 Detroit Engine Works sold a 8hp 4 cycle horizontal stationary desaxe engine. 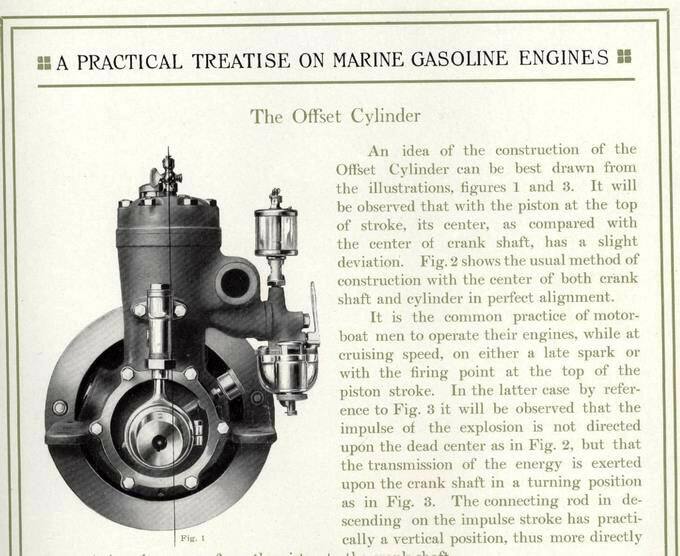 This little engine was one of the more obvious of the offset engines, in other 1907 ads the company claimed 20 to 40 percent less cylinder friction ? I will look but I believe Ferro engines were offset. In the early 1960's Chrysler Corp had a racing division and would recommend tips to get better performance from their V/8s, on drag strip use they suggested reversing the pistons on the rods, they were offset to quiet the engines but resulted in friction ? Lots of piston slap but they did seem to run quicker. 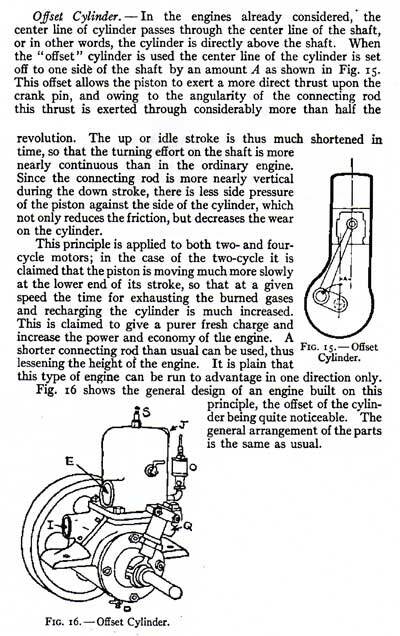 Not only did Ferro do that on their smaller and earlier engines, but my 1920 four cylinder, four cycle is also offset. Approx. .63 inch.